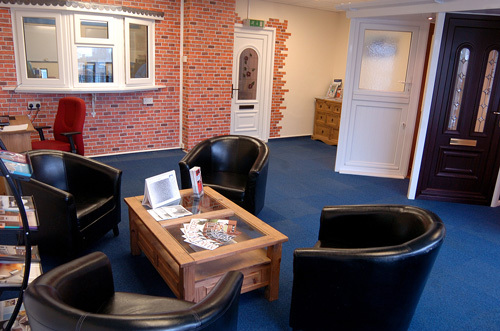 We are a family business based in Rubery and Rednal, Birmingham with over 20 years of experience and offer an excellent service for all your uPVC double glazing requirements, whether it is a broken window handle or a new conservatory, no job is too big or too small! We do everything in our power to ensure that you are satisfied with the end product regardless of the service you choose. We let our customer be the judge and we must be doing a very good job as most of our business comes from recommendations from previous satisfied customers. Come and see for yourself, don't just take our word for it. Experience first-hand how stress free and easy we make each job. First impressions are very important; with the latest designs in our windows and doors we can give your house or flat a complete makeover and make the neighbours jealous. We can supply and fit the perfect windows and doors for your property so come and see us now and let us show you exactly what we can offer. We are also proud to be a company that supplies and installs rock doors in Birmingham and the surrounding areas. 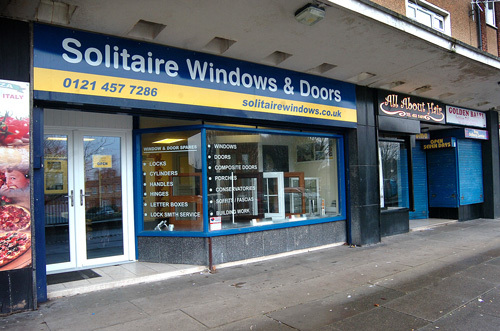 So if you want to make your dream a reality, contact the experts here at Solitaire Windows and we can start the journey together. Getting in touch could not be easier; you can contact us by call the number at the top of this site. Alternatively, you can send us your enquiry via our "Contact Us" page and we will get back to you as soon as possible.